For me, I feel like putting on a long cardigan and going about my day is like walking around with a great big bear hug. There is just something comforting when it comes to wearing a long sweater or a cardigan. 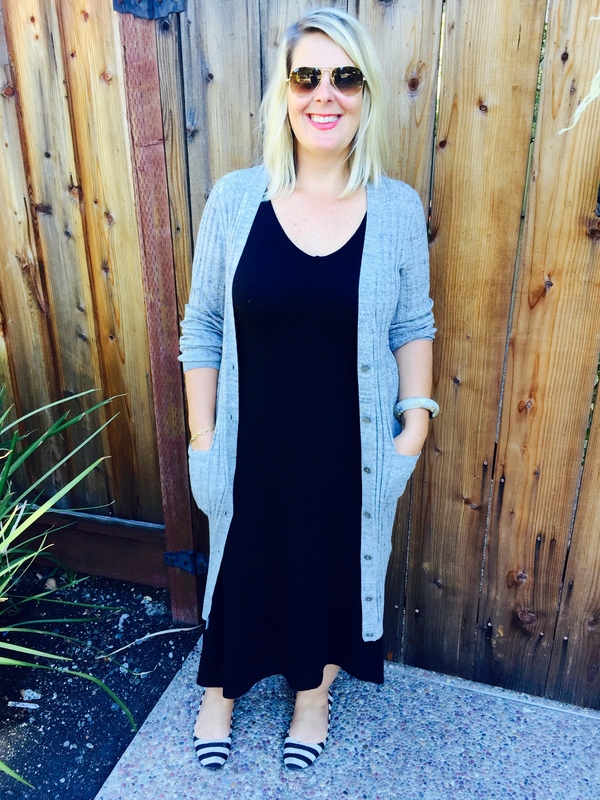 I recently purchased a long grey cardigan from Gap and have been having some fun styling it a few ways. 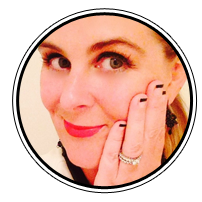 But, there are so many designs out there, so I have made a couple of sets on Polyvore to show you how to style them with some ideas from my own YummoMummo head. 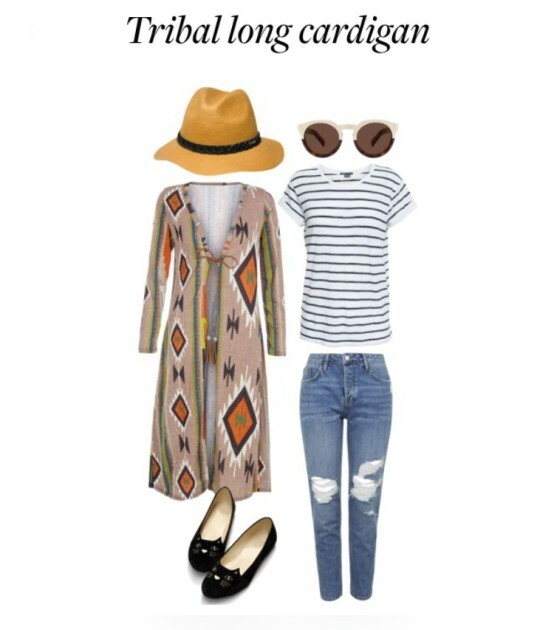 I adore playing around on Polyvore and creating sets, feels so fun and creative and I can certainly unleash my wardrobe obsessed brain. My inspirations are all around me, whether in stores, on social media or at the pumpkin patch. Indeed, I saw a Mum wearing a similar mustard cardigan last weekend at the Pumpkin Patch. She was paired with a black base, but I love mustard with blues. I have played some denim on denim, and check out the socks with the boots. FUN! These are on Etsy, I love Etsy’s fun and creative ideas and items. TO SHOP THIS SET ON MY POLYVORE, CLICK HERE. Tribal print was huge in the summer and it’s continuing into fall, in just this way, on a long cardigan. I wanted to show you some fun with mixing patterns, so check out the striped top against the tribal print. They compliment, don’t compete (compared to if I had used a similar tribal print t-shirt). Love the glasses, very stylish and will look great under the brim of the fedora. And check out those kitty-cat flats, meow!! TO SHOP THIS SET ON MY POLYVORE ACCOUNT, CLICK HERE. Just as the title says, perfect for a lazy fashionable Sunday. I love the stripe and layered over a trend piece, the overalls. If you’re feeling a little conscience wearing overalls, what a great way to feel you can camouflage by layering with a long cardigan. Mix with silver accent jewelry from Stella and Dot as well as the Waverly Petite bag. Perfect outfit to add some Vans, but let’s bling them out with some glitter! Boom. 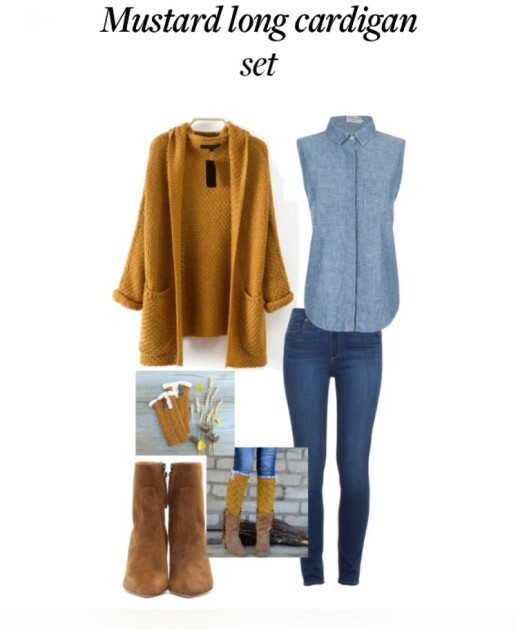 TO SHOP THIS SET ON POLYVORE, CLICK HERE. TO SHOP THE STELLA AND DOT ADELAIDE HOOP EARRINGS OR THE WAVERLY PETITE BAG, CLICK HERE. 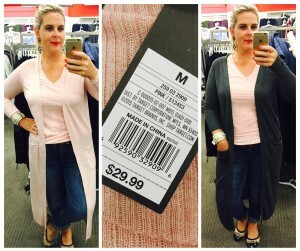 If you want a VERY reasonably priced chance to have some fun with the duster cardigan, head on over to your local Target as they have them at only $29.99. Fabuloso! Don’t forget YummoMummo can do wardrobe for you. Click my WARDROBE CONSULTATIONS tab. I love your Cardigan style and might just experiment with the yellow mustard or tribal in the future! Eeeks love this cardi! Wish I could pull it off but I’m a shorty and it would be dragging all over lol! You look amazing! That cardigan looks so cozy! I love long cardigans, they look really nice and they are so easy to throw over a normal outfit.